Post-doctorado en el Instituto Weizmann de Ciencias, Rehovot, Israel. 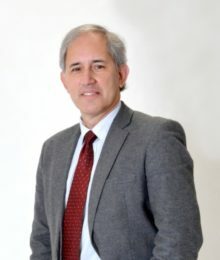 Ph.D., mención Física, Universidad de Chile. · Exploring and Visualizing Hilbert Geometry in a Triangle, Proceeding of the 14th Asian Technology Conference in Mathematics, p 357 – 366, 2009, Beijing, China. · “Modeling the Spread of Tuberculosis in Semi-Closed Communities,” Computational and Mathematical Methods in Medicine, vol. 2013, Article ID 648291, 19 pages, 2013. doi:10.1155/2013/648291. · “Understanding Social Contagion in Adoption Processes Using Dynamic Social Networks” PLoS ONE 10(10): e0140891. doi:10.1371/journal.pone.0140891. · Comment on “An algorithm for moment-matching scenario generation with application to financial portfolio optimization”. European Journal of Operational Research 2018, Volume 269, Issue 3, 16 September 2018, Pages 1180. · “Mining EEG with SVM for Understanding Cognitive Underpinnings of Math Problem Solving Strategies,” Behavioural Neurology, vol. 2018, Article ID 4638903, 15 pages, 2018. doi:10.1155/2018/4638903.